30 January 2015 – The Group on Earth Observations (GEO) has announced a Call for Participation (CFP) in the 8th phase of the Global Earth Observation System of Systems (GEOSS) Architecture Implementation Pilot (AIP-8). AIP-8 aims to increase the use of GEOSS resources by end-users. An end-user might be, for example, a farmer in a developing nation whose cell phone app accesses an online service that supplies planting advice and market forecasts based on sophisticated processing of data acquired by satellites, local Internet-connected sensors, and social networks. 30 January 2015. The Open Geospatial Consortium (OGC®) announces that it has adopted the OGC Unified Geo Data Reference Model For Law Enforcement and Public Safety as an OGC Best Practice. Click here to register to attend MWC 2015. If you’d like to Get Involved by being an Exhibitor, Sponsor, Partner or Advertiser at the event, contact our Sales team today! Stay up to date on event news and announcements by subscribing to our event emails. The Locate15 Conference and Exhibition Open Day is Australia & New Zealand’s leading Spatial event consolidating the top Australian spatial industry events. A central meeting point for industry, government and academia in one of the fastest growing industries. Locate15 is designed to energise the location industry, inspire both producers and consumers of location information, and drive greater awareness, adoption and innovation. 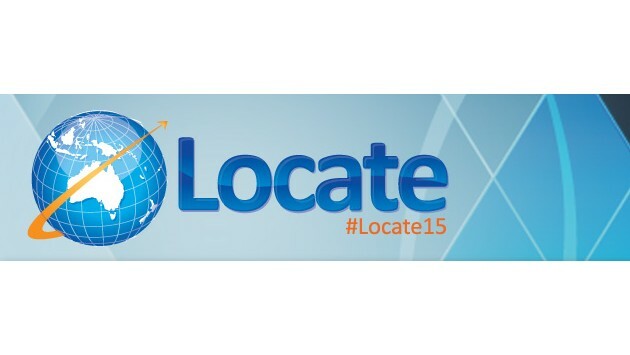 For more information on registering for Locate15 or if you would like to consider exhibiting or sponsorship, please visit http://www.locateconference.com or contact Caryn Morgan on 61+2+ 9810 2701 or caryn [at] cmaevents.com.au. 28 January 2015 - The membership of the Open Geospatial Consortium (OGC®) seeks public comment on the candidate OGC 3D Portrayal Service (3DPS) Standard. Please note: This Request closed on 27 February 2015. In the last decade, progress in airborne and mobile laser scanning and photogrammetric methods has brought an explosion of terrain data and detailed 3D models of the built environment. The 3d models are often maintained in proprietary environments. The Open Geospatial Consortium (OGC) and the Web3D Consortium have both been working to address the need for interoperability, as well as the content challenges of volume, access speed, and diversity of devices. The Web3D Consortium has focused on open standards for real-time 3D visualization, including streaming, and their members developed a Geospatial Component extension for X3D. The OGC has focused on developing a service interface to provide interoperable access to 3D geospatial data servers. In 2012, a group of OGC members, building on work done in both organizations, completed the 3D Portrayal Interoperability Experiment (3DPIE) to develop and evaluate best practices for 3D portrayal services. The Group on Earth Observations (GEO), a global partnership of 97 governments and 88 organizations, is working to build a Global Earth Observation System of Systems (GEOSS) – a network of Earth observation systems, databases and models. The purpose of GEOSS is to provide access to critical environmental information to decision-makers around the world. With the recent evolution of data & analytics technologies, as well as an increasing demand for access to data, services and information, GEO is preparing a forward-looking strategy to capitalize on the advancements in computing architecture, data discovery, and information delivery. To help GEO plan its post-2015 strategy, this roundtable event will explore the options for the GEOSS architecture post 2015. It will include a discussion of partnership opportunities with commercial companies and the open-source community. There will be free on-site registration for GEO Meeting attendees at the main registration at the Esri Federal GIS Conference. Please note: This Request is scheduled to close on 22 February 2015. The membership of the Open Geospatial Consortium (OGC®) seeks public comment on the candidate OGC LandInfra Conceptual Model. This document, the first public draft of the OGC's proposed UML conceptual model for land parcels and the built environment, communicates the proposed intent and content of a new candidate OGC standard to be called the OGC InfraGML Encoding Standard. The UML conceptual model establishes a single set of consistent concepts that could be implemented in GML (as InfraGML) or in other encoding mechanisms. After reviewing the existing LandXML format, the OGC Land and Infrastructure Domain Working Group (LandInfraDWG) decided that a fresh start standard was warranted. The new standard would have a use case driven subset of LandXML functionality, but it would be consistent with the OGC standards baseline, implemented with the OGC Geography Markup Language (GML), and supported by a Unified Model Language (UML) conceptual model. Called InfraGML, this new standard would: be supported by a recognized Standards Developing Organization, OGC align with existing OGC (and TC211 and SQL/MM) standards, including the OGC Modular Specification benefit from functionality already supported by GML, including features, geometry, coordinate reference systems, linear referencing, and surface modeling (TIN) initially focus on alignments/roads, survey, and land parcels, the subject areas for which there are identified needs and committed resources for development using modular extensions, be able to expand into other areas (e.g., "wet" infrastructure pipe networks) as resources become available be use-case driven be based on a UML conceptual model developed prior to any encoding, such as GML have more up-to-date functionality be synchronized with the concurrent efforts by buildingSMART International in their development of Infrastructure-based Industry Foundation Classes (IFCs), and be more easily integrated with TransXML and OGC CityGML. The document for the candidate OGC LandInfra Conceptual Model are available for review and comment below. Comments are due by 22 February, 2015.